What is the best surface for Driveways? Home > What is the best surface for Driveways? When considering resurfacing your driveway you may need to take into account many factors such as price, durability and aesthetics.There are many types of driveway options available but each type has its own advantages and disadvantages. The two cheaper options are gravel and Tarmac or asphalt: Gravel can look good but can be noisy. If large stones are used these can be uncomfortable under foot however if smaller stones are used these can easily disappear into the earth below. Gravel driveways make clearing snow difficult and often need a large amount of maintenance as the stones can shift. For obvious reasons gravel is not suitable for sloping driveways. Gravel, however, allows for excellent drainage. An asphalt or Tarmac driveway has less curb appeal and the look you can achieve is limited as it is only available in black. An asphalt driveway can be relatively hard wearing however asphalt driveways do not allow rainwater to seep away naturally so this type of driveway is not recommended if excellent drainage is required. Another relatively cheap driveway option is concrete. This material is generally hard wearing but it can crack and stain and can be difficult to repair. This material is also a poor option when good drainage is required. By far the most appealing type of driveway is the block paving driveway. This type of driveway is permeable, allowing water to drain away naturally. It is also hard wearing as well as being available in a huge range of colours and sizes. For any homeowner wanting to make a statement and add kerb appeal to their home, block paving is the obvious choice. Block paving can be used to add elegance and style to any property. Block paving also has the twin advantages of requiring very little maintenance and being easy to repair. The one drawback to driveway block paving has always been its relatively high cost. The good news is that, with Paving Stones Direct, homeowners can purchase quality driveway block paving at an extremely competitive price. This is because we buy direct from producers at home and abroad and, as such, we can pass any savings directly on to our customers. So, whatever type of driveway block paving you require, Paving Stones Direct have the right product for you. 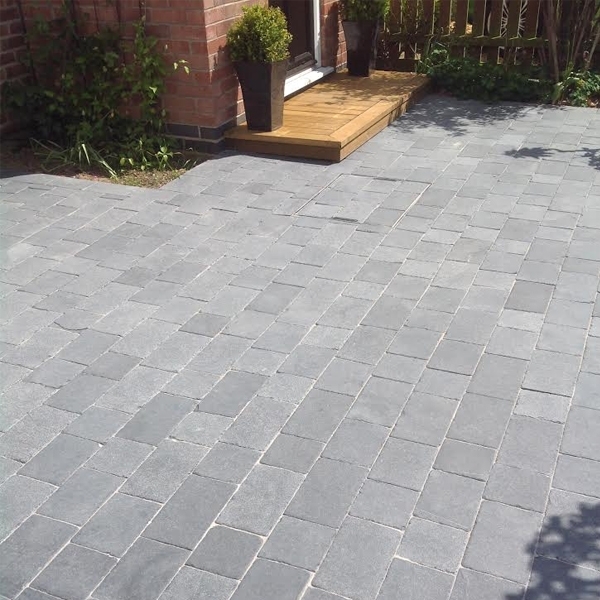 We supply all types of block paving for driveways - slate, limestone, granite or natural stone. All our block paving is available in a large range of sizes, colours or shapes guaranteed to enhance the appearance of any type of property. 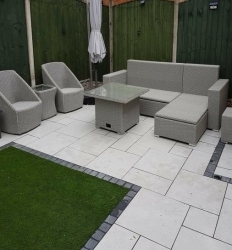 Whether you are looking for classic setts, vintage cobbles or more contemporary block paving Paving Stones Direct has the driveway block paving to suit all tastes. We supply hand cut or sawn edge block paving all at very affordable prices. Why not treat your home to a facelift with a beautiful block paving driveway from Paving Stones Direct. It could add a great deal to the value of your home as well as enhancing its appearance.